Our 125+ years of experience helped set the standard for sports nutrition quality, consistency and taste. Our team's knowledge is your power. Our customers benefit from speed, efficiency and quality from our expandable state-of-the-art, 230,000 square foot facility. Plus, we're built to grow. With 30 years plus manufacturing experience, our track record creating industry-best supplements is well known. Your formula or ours, we deliver. In 2018, Nutrivo LLC, of Aurora, Illinois doubled in size and added a 100,000-sq. ft. expansion! When we completed construction the total size of our existing functional food and dietary supplement manufacturing is 230,000-sq. ft! Founded in 2013, Nutrivo, LLC is an FDA inspected, NSF GMP Certified, Informed Choice Registered, and ChromaDex Quality Verified manufacturer of premium powdered protein beverage and nutritional supplement mixes. WE KNOW EXACTLY WHAT IT TAKES TO BE THE WORLD'S BEST SUPPLEMENT MAKER. OUR BLENDING & PACKAGING CAPABILITIES ARE SECOND TO NONE. 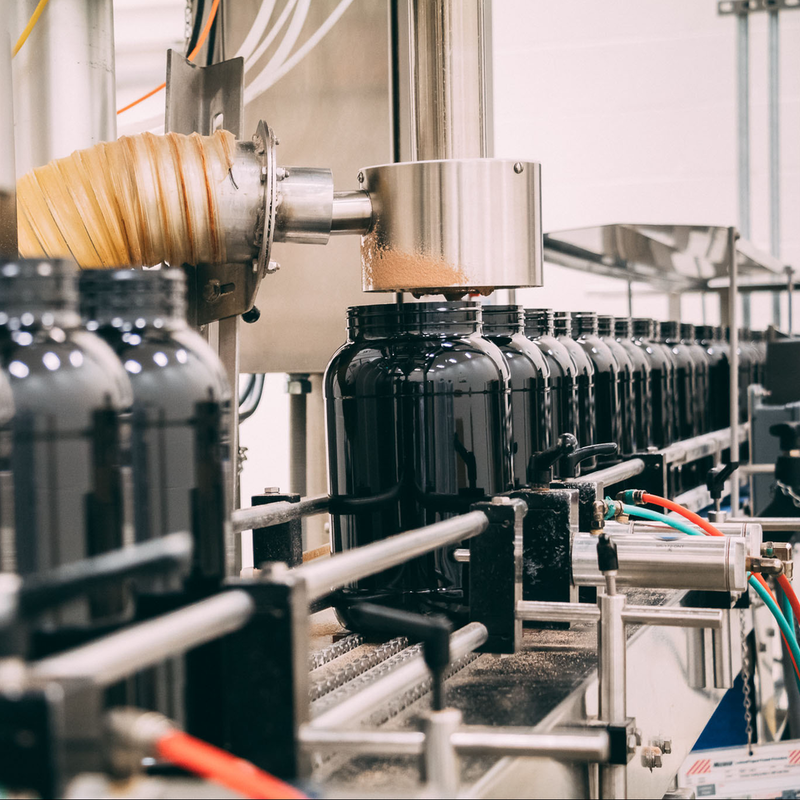 Ultra-modern facilities and equipment allow us to blend, bottle, and label products quickly and efficiently, with built-in quality assurance testing. WE SPECIALIZE IN MORE THAN JUST WINNING NUTRITIONAL POWDERS. WE OFFER TURNKEY PRODUCTION-TO-PROMOTION SOLUTIONS. Utilizing our state-of-the-art 3000 sq. ft. Research and Development lab, we can help develop, flavor, provide packaging solutions and manufacture your products -- all under one roof. WE CAN PRODUCE YOUR EXISTING PRODUCT LINE TO SPEC. Run with us and enjoy unmatched blending and filling versatility for any size need. OUR FACILITY IS BUILT FOR SUCCESS! 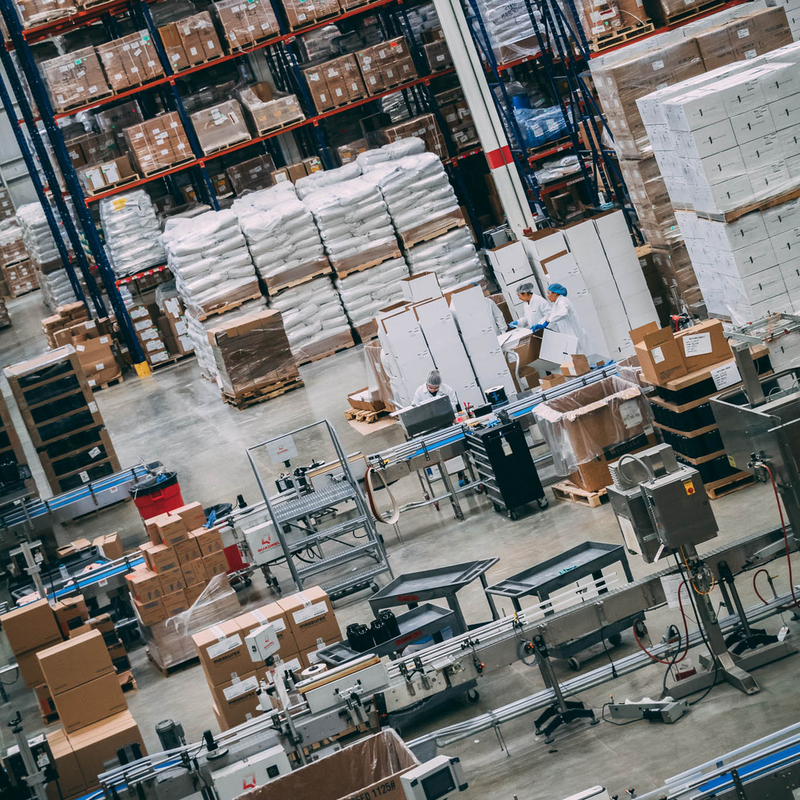 Our expandable 230,000 square foot facility features warehousing, laboratory, blending, packaging, shipping, and meeting space to provide our customers with the very best customer experience. 32-ft ceilings for superior quality & blender efficiencies. Multiple packaging options -- sample packets, pouches from 1lb. to 12lbs., PET and HD plastic containers from 8oz. to 2 gallon sizes. 22 loading docks & access points for easy in and out. The ability to run multiple blends per shift with the flexibility to add second and third shifts as needed to increase capacity. WANT TEAM LEADERSHIP? SINCE 1985 - WE HELPED CREATE THE POWDERED SUPPLEMENT CATEGORY. Mike and Tony Costello are the founders and former owners of Optimum Nutrition Inc. and Costello's Health Distributors. Their experience in manufacturing top-quality athletic supplements originated when Mike and Tony recognized a need for improvement in the sports nutrition industry. From launching Costello's Health Distributors to its evolution into Optimum Nutrition -- a 23-year success story -- to the Nutrivo brand in 2013. The Costello's experience in the sports nutrition industry is unmatched. With unbridled passion and enthusiasm for the sports nutrition industry, they started Nutrivo, LLC in 2013. According to Tony, "We have a long history and passion for manufacturing premium supplements, and we're bringing top-quality manufacturing back to Chicago." The 2nd chapter of an American Success story has begun! Want more information on the Costello's story? Our senior leadership, who manages all aspects of our growing business, are all industry veterans with a longstanding record of success with the Costello brothers. WE'VE WORKED TOGETHER CREATING BETTER SUPPLEMENTS LONGER THAN VIRTUALLY ANYONE IN THE INDUSTRY. Or just want more info?